Join us on Saturday 4th June in the Silverbirch Hotel, Omagh, for our next gluten free food fair. With our food fair in Ballycastle attracting over 200 entrants and many stalls selling out before the end of the day, we advise arriving early in the afternoon to enjoy the samples on offer and purchase the delicious gluten free foods on offer. 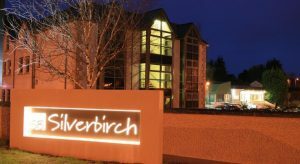 You can find out more about the Silverbirch Hotel and book a room here. Meals: The Silverbirch Hotel has a restaurant and bar.